COCCARDA IN OVAL ivory paper. 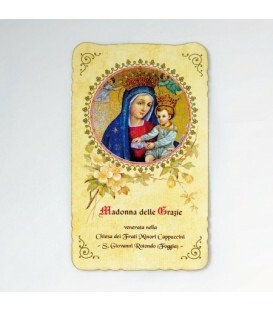 PRINTING IN FOUR-COLOR IMAGE REPRESENTING SAN PIO AND THE MADONNA OF THANKS. EDGE LACE MADE CROCHET WITH CHAPTER ONE CONTINUOUS YARN COTTON BELT AND BOW SATIN. 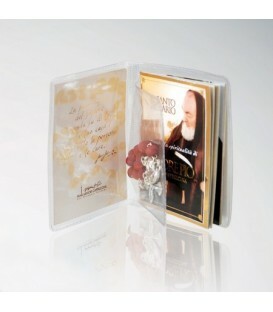 CASE PVC THREE POCKETS booklet FOR THE PRAYER OF THE "ROSARY". 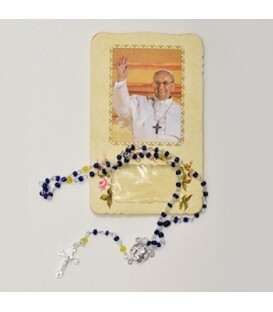 ROSARY IN RED WOOD AND SCENTED DIVING. BEANS ROUND AND SMOOTH WITH BINDING IN SILVER METAL. 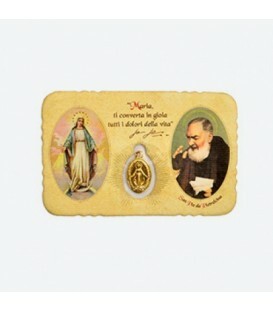 MEDAL WITH PICTURE REPRESENTING A SIGNIFICANT SAN PIO AND, ON THE BACK, PICTURE OF THE MADONNA OF THANKS. METAL SILVER CROSS RELIEF. Bookmark avoriata paper, with die cut and gilded edge. Enveloped. 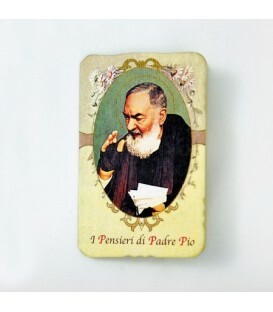 Process-color printing image of Padre Pio and his "thought". Gilt metal oval Medal with raised image depicting the Miraculous Madonna, and sealed. Bookmark avoriata paper, with die cut and gilded edge. Enveloped. 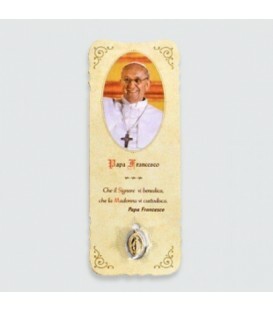 Process-color printing of the image of our Lady of Fatima and a "thought" of Padre Pio. 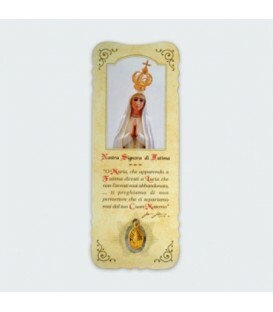 Gilt metal oval Medal with raised image depicting our Lady of Fatima, and sealed. Avoriata paper image, with die cut and gilded edge, enveloped. 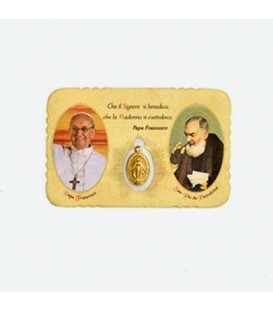 Process-color printing image of Padre Pio and Pope Francesco. 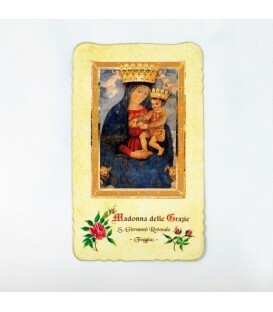 Gilt metal oval Medal with raised image depicting the miraculous Madonna. Avoriata paper image, with die cut and gilded edge, enveloped. 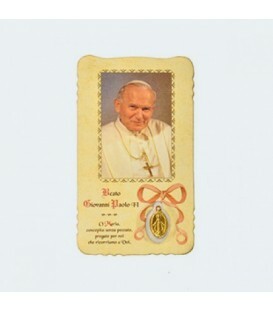 Process-color printing image of Pope Francesco and his thought. Gilt metal oval Medal with raised image depicting the miraculous Madonna, and sealed. Avoriata paper image, with die cut and gilded edge. Enveloped. 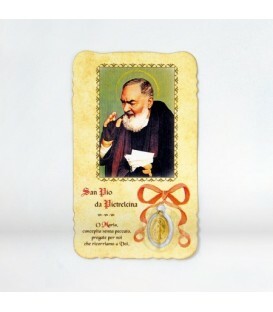 Process-color printing image of Padre Pio and his "thought". Gilt metal oval Medal with raised image depicting the Miraculous Madonna, and sealed. Avoriata paper image, with die cut and gilded edge. Enveloped. 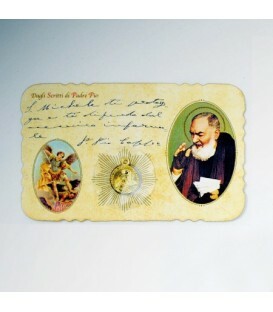 Process-color printing image of Padre Pio, one of his "thought" and of St. Michael the Archangel. 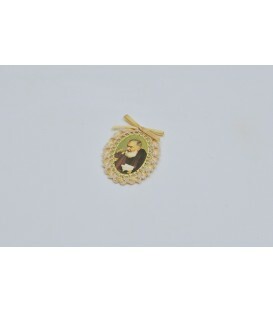 Round medal in gilded metal, with relief image depicting Padre Pio, and sealed. 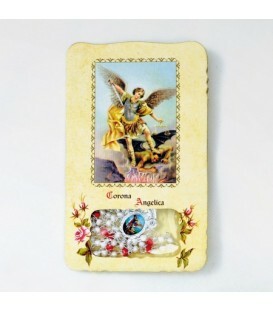 Box shaped avoriata card watercolor with flap. Comprised of 10 different card in avoriata paper, with die cut and gilded edge. 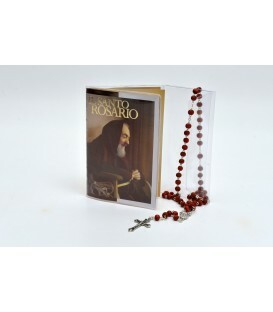 Process-color printing image of Padre Pio and his "thought". 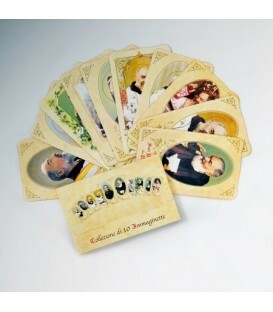 Picture avoriata paper, trifold with die cut and gilded edge. 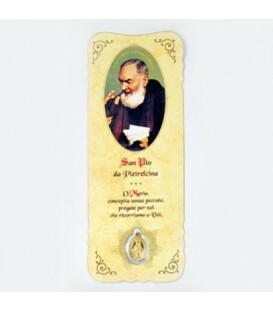 Process-color printing image of Padre Pio and his "thoughts".